Phyllis Diann Hickmond Munnerlyn was born June 8, 1955 in Pinehurst, North Carolina. She peacefully departed this life on Sunday, January 27, 2019 at her home. The family will receive friends Wednesday (1/30/19) from 7:00-8:00 pm at Fry and Prickett Funeral Home in Carthage. A funeral service will be held at 1:00 pm on Thursday, January 31, 2019 at Harrington Chapel F.W.B. Church in Southern Pines, NC with Elder Kevin B. Henry officiating. She was the daughter of the late Richard Sr. and Vera C. Hickmond. She was also preceded in death by her brother Nelson Hickmond. Phyllis was united in marriage to Lee Vance Munnerlyn on March 8, 1981. Not only was Phyllis a devoted wife and mother, she will be remembered for her love and caring for the elderly, especially those who resided in nursing homes. She became a licensed minister in 2015 and built her ministry serving Morrisville, NC to Durham, NC and most recently Pinehurst, NC. Her favorite hobby was shopping, favorite color was black and she loved white sunglasses. 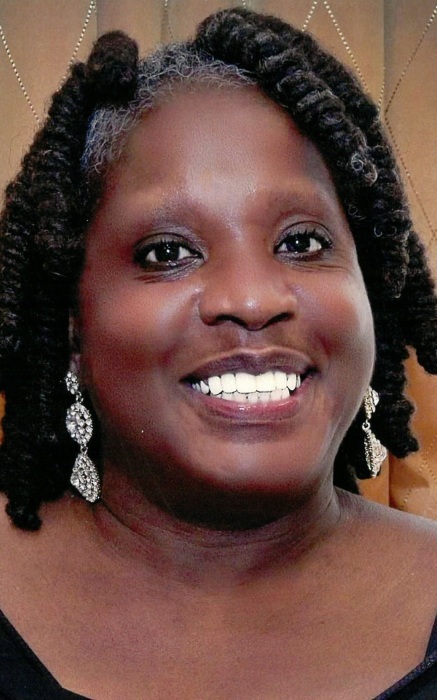 She was employed by IBM for 16 years and worked in several locations including Durham, NC; Dallas, TX; Atlanta, GA and Charlotte, NC and worked for RF Micro Devices and Duke Medical Center. Her most recent employment was at UNC-Rex Hospitals for 14 years. Surviving to cherish her precious memories are her husband, Lee Vance and a loving son, Lawrence Hickmond both of the home; two brothers; Richard Jr. (Nell) of Fredricksburg and Larry of Carthage; five sisters, Shirley Siler of Gibsonville, NC; Brenda Smoke of Sanford, NC; Linda Hickmond of Goldsboro, NC; Eleanor (Woodrow) Hardy of Carthage, NC; Doretha (Jessie) Lynch of Cameron, NC; one uncle, Denzel (Yvonne) Covington; a best friend and confidant Thomas Rhodes of Charlotte, NC; two special sons, Damon Bost and Shawn Williams both of Charlotte, NC and a host of other relatives and friends. Fry & Prickett Funeral Home in Carthage is serving the Munnerlyn family.